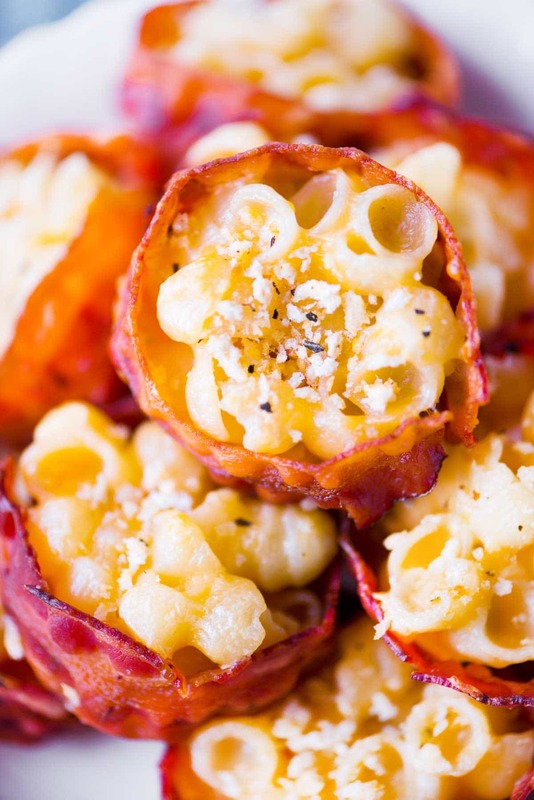 This Bacon Mac and Cheese Bites recipe is a cheesy appetizer that everyone loves. Make for your next party or surprise your family with these for dinner! 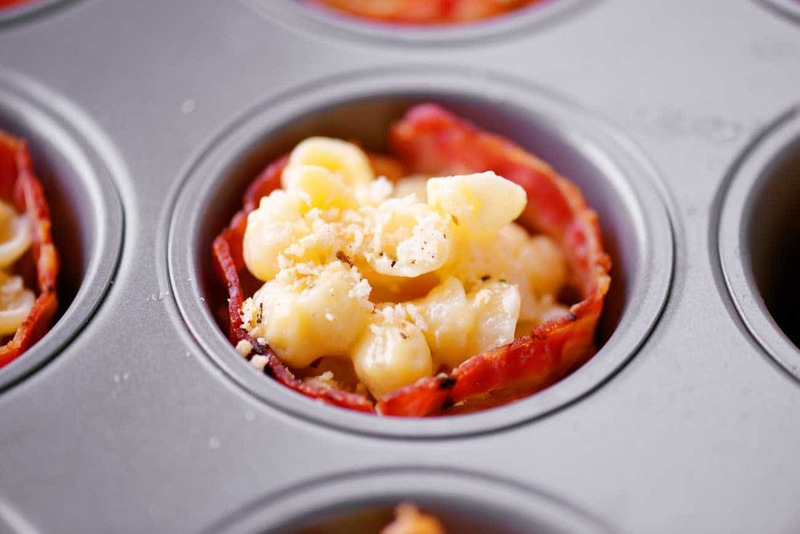 When it comes to appetizers what could be better than combining macaroni and cheese with bacon? 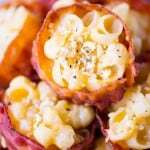 These Bacon Mac and Cheese Bites can be prepared ahead of time and warmed up right before serving. Or make them as a fun dinner for your family! **Note: I’ve gotten a few questions about the bottom of the muffin pan in this photo. The only thing in the bottom of the pan is cooking spray oil. The reflection of light is making it look more noticeable. 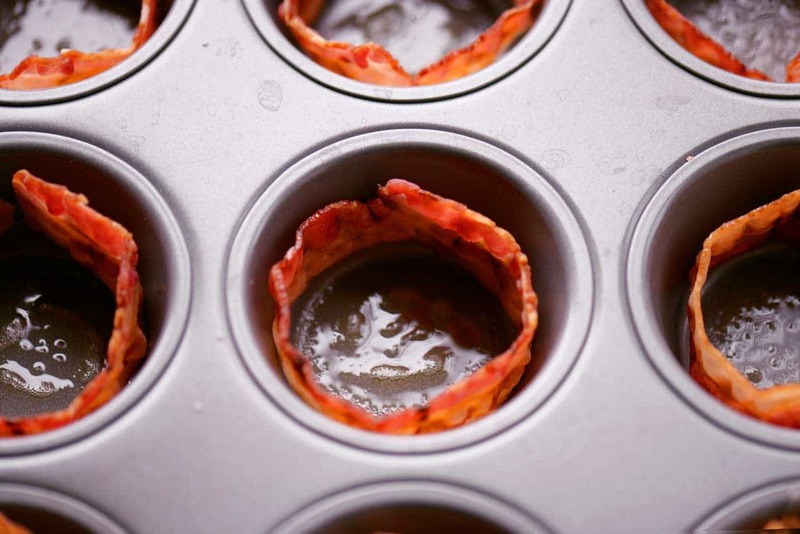 First, line greased muffin pan cups with precooked bacon. I used Homel Black Label Fully Cooked Bacon. This is our favorite precooked bacon and I love that it comes in a large package so there is enough for everyone in the family to have it for several meals. Next, fill the cups with macaroni and cheese. You can use your favorite homemade recipe or used the boxed kind. I used Annie’s Shells and White Cheddar Macaroni and Cheese and added one cup of finely shredded cheddar cheese. I had about 2 1/2 cups of mac and cheese to divide. Sprinkle the mac ‘n cheese with Italian panko. I used Progresso Italian Panko Style Breadcrumbs. Bake at 350 degrees for 15 minutes. Serve these tasty bites while warm. 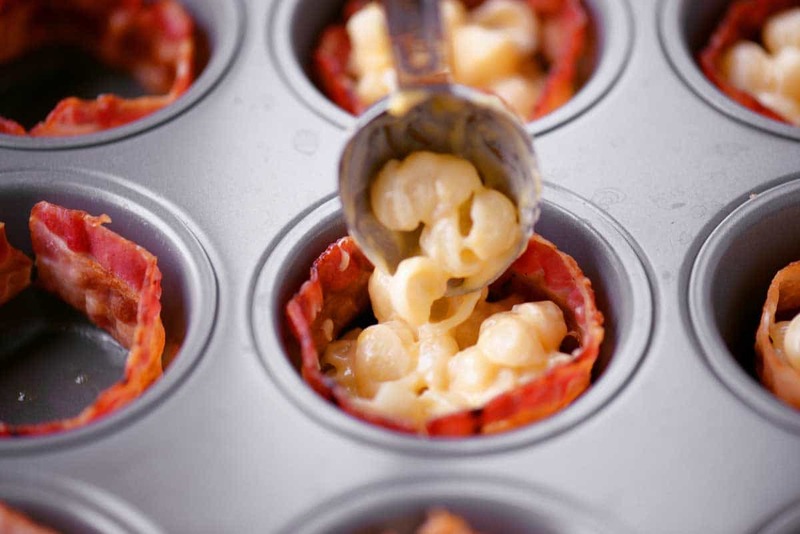 The Bacon Mac and Cheese Bites can be prepared ahead of time and warmed up in the microwave before serving. 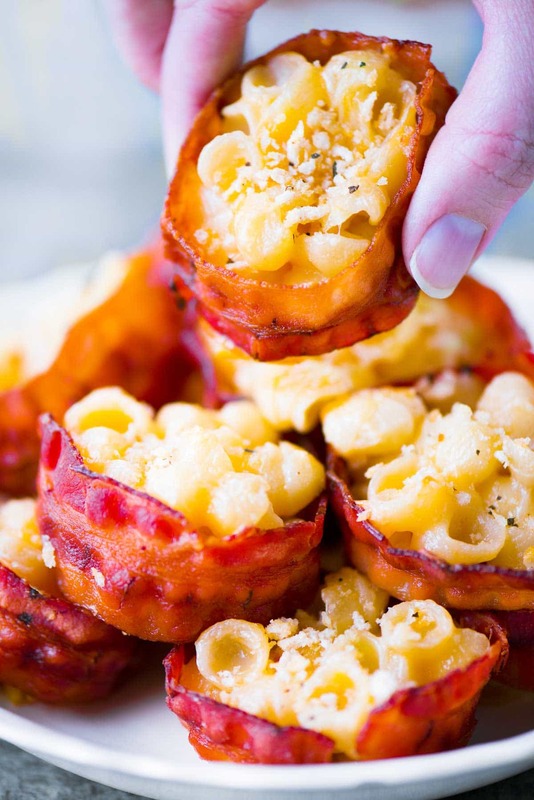 Bacon Mac and Cheese Bites are a cheesy party appetizer that everyone will love. 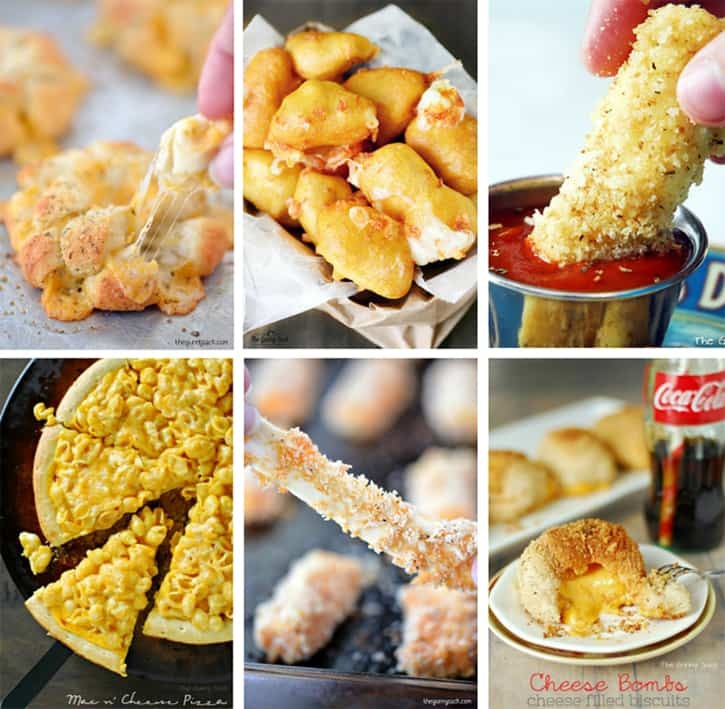 And if you have kids like mine, you will be a hero if you make these for dinner! Another option would be to keep them warm in the crockpot without the lid or with the lid partially covering the crock. I love this! Whenever I make mac and cheese at home, I always make a HUGE pan of it. So this is going to make a two-fer recipe for me, especially with the 4th coming up. I’ll make my giant pan of mac & cheese, serve half as mac & cheese, and take the other half and make these cute little bites to also serve on the buffet table. I love easy recipes like this! Thanks so much for sharing it! can these be kept warm in a slow cooker? I have a feeling these would be very popular with my family. I made this as an appetizer for New Year’s Eve party. Used crumbled bacon which I mixed in with the cheddar to the Mac n cheese. I then used a spring loaded cookie baller to shape the bites. Placed them on a parchment lined baking sheet. Chilled in the fridge for a couple of hours and then baked them for 30 minutes. Made 24 bite size appetizers. Not one leftover. Yummy! Could I fry up regular bacon let cool and use that instead? Yes, you could but you would need to stop frying it while it was still pliable enough to mold into the muffin tins. Would you recommend this for a cooking test?? Do you mean serves 12 people or 12 mac and cheese bites? What do you suggest for masking it for 5 people for dinner? It makes 12 mac and cheese bites. If you are serving it as the main dish for dinner for 5 people you would probably want to make a double batch depending on the age and appetite of the people eating dinner. Kids might be okay with just two but adults would probably want more. How long do you cook the bacon? Do you cook it in the oven? I used mini muffin tins because that is what it looked like in the picture. I just cut off the wider part of the bacon and stuck it in the micro for a snack! or you could crumble it on top. Even better! I had to cook them at 375 deg for 25 min. then they stayed together. I live at 6oooft so that could have something to do with it. Anyway, they were delish!!! I OD’d on them. My handyman and I had them for lunch! I used Hormel ready mac n cheese. It is in the refrigerated meat case where you would fine ham, etc. Of course I added more sharp cheddar. AItho I am a good cook, my husband says I am the “worst maker of macaroni and cheese!” So there, sucker! I just buy the ready Hormel and add cheese and some milk or half and half and it is VERY good! He never knows the difference….. If bacon is flexible enough can I put one to cover bottom too before the Mac n cheese, or will that be too much bacon? there is NEVER too much bacon! Can you freeze these? If so how would you cook them? Would you leave them in the muffin tin? Hello! I’ve never tried freezing them but here’s how I would go about it if I were to try. Yes, I would cook them first so that the mac and cheese sticks together and sticks to the bacon. Then, I would let them cool, remove from the muffin tin and wrap tightly. When ready to eat, I would unwrap them, put them back into the muffin tin, cover with foil and bake at 400 degrees until hot. Another option would be to assemble them in a muffin tin, wrap the entire muffin tin (you could use a disposable one to keep your good one available) and place it in the freezer until ready to bake. Bake at 400 degrees until hot. I’m guessing it will take 20-30 minutes but I’m not sure. I made these for a party and froze them for several weeks. I baked them in the mini muffin pans and froze them in the pans also. The day of the party I defrosted them and heated them at 350 degrees for about ten minutes. Everyone loved them and I had requests for the recipe. Love the recipes and especially you letting us know what products you use. Cannot wait to try these at my next party. Which brown liquid are you referring to? I think she means in the photo with just the bacon in the muffin cups. There appears to be liquid in the bottom. Yes, it’s just oil. 🙂 I used cooking spray. Is the bacon cooked when you line the pan or does it cook as it is in the oven? Are these mini muffins or regular size muffin pans? Is the 350° F or C? What I’d in the bottom of the pan? Looks to be something in there when the bacon in placed. It’s just oil in the bottom of the pan. Yummy! Have you ever made this with leftover home made mac & cheese? I have the same question as Darlene. What keeps the Mac and cheese I. Place? I am wondering how you keep the Mac and cheese from falling out of the bottom of the roll. What perfect appetizers for New Year’s Eve! Love how easy they are! What a fun and easy recipe! I love that you combined two faves to create one incredible bite! 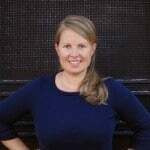 Thank you Tonia and Happy New Year! I can’t wait to try these! I love that they’re so easy to make.